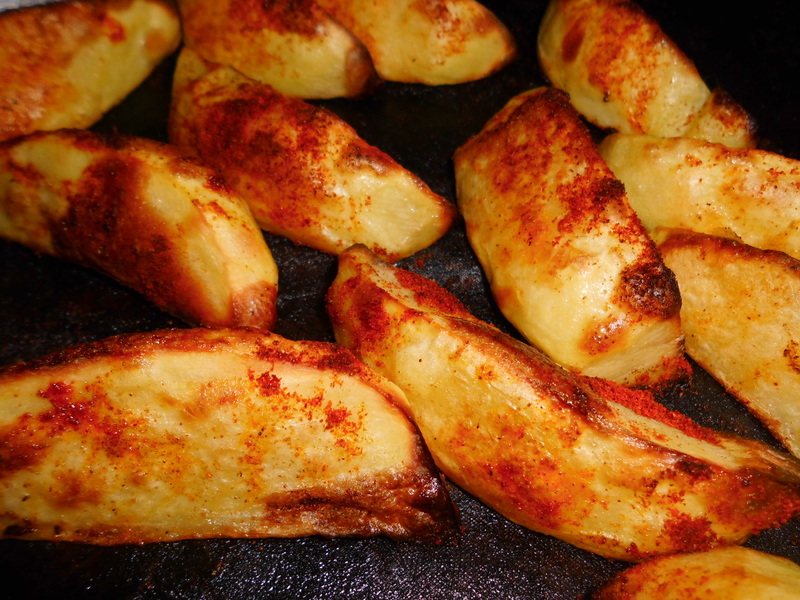 Potato wedges…so very easy to do and rustle up at home. Here’s how! Clean or peel all the potatoes and then cut into quarters, lengthways. If rather chunky, cut each quarter in half again, lengthways again. Place the uncooked potato wedges on a non-stick baking sheet or a baking tray covered with either a silicon sheet or greaseproof paper. Allowing 1 tsp per potato portion, lightly brush the individual wedges with oil and dust with paprika. Place in the centre of the hot oven and bake for 40-45 minutes. Dawn: And there we have an easy accompanying side dish to a whole range of main meals. Andrew: Yes, potatoes are so versatile. For more side dish recipes to accompany main meals, follow this blog – www.forfoodlovers.wordpress.com – and Twitter @Love_Food_UK. Posted on February 14, 2014 by Love Food UK	• This entry was posted in Essentials, Side Dish and tagged easy to make food, home cooking. easy to follow recipes, potato wedges. Bookmark the permalink. Wow, another favourite dish of mine. Copied. Thank you.